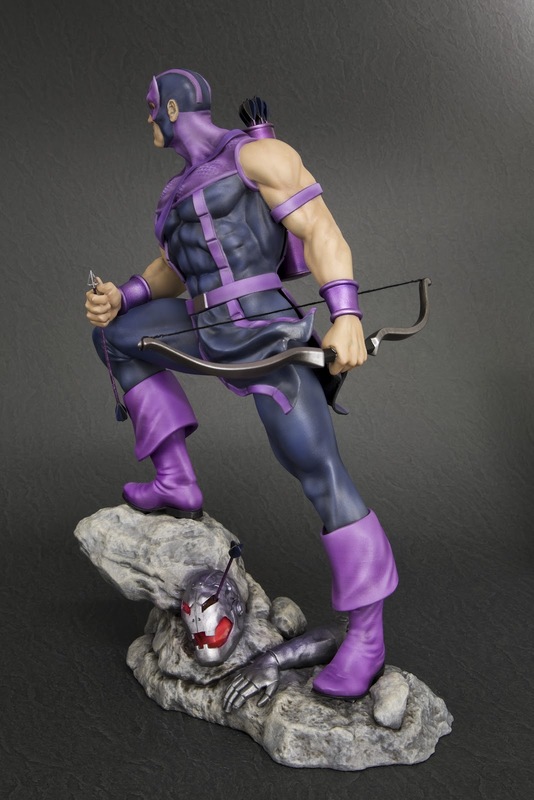 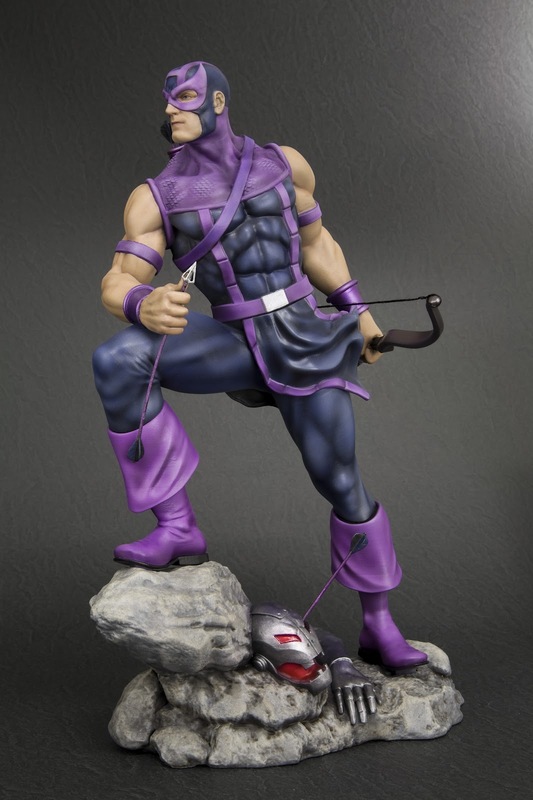 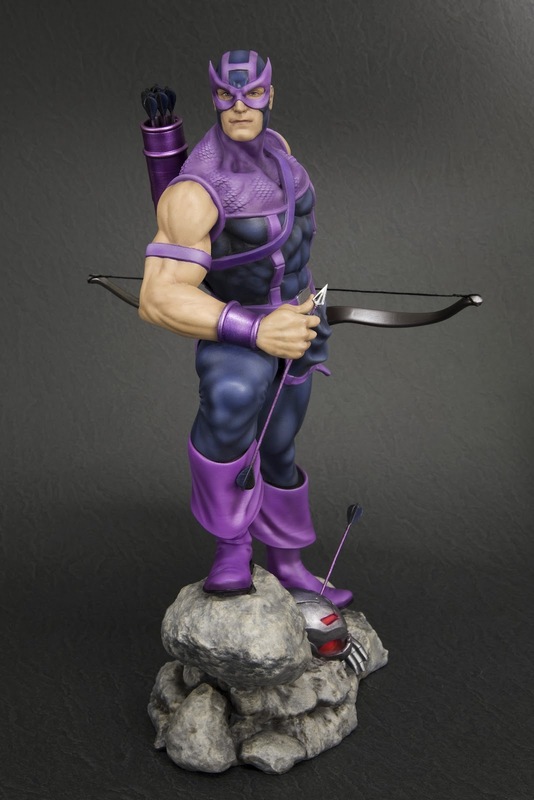 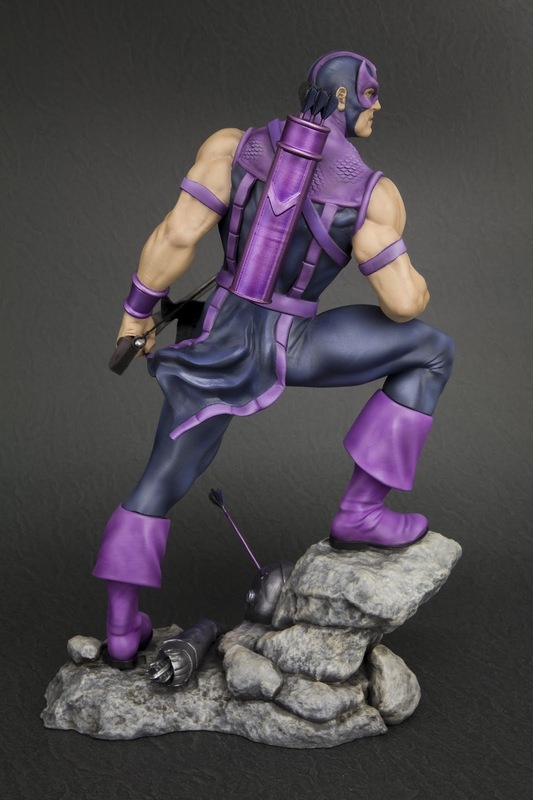 The Avenger's movie might be busting up the box office right now, but classic Marvel fans might want to take note of Kotobukiya's awesome new classic Hawkeye statue. 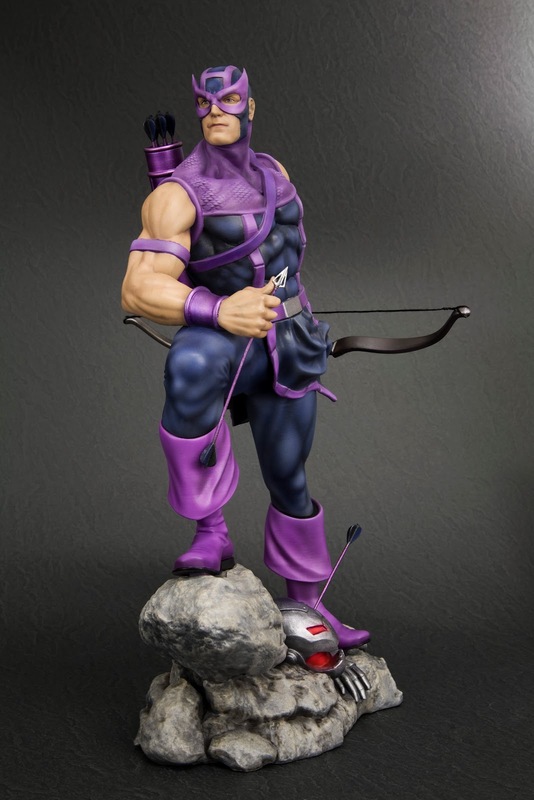 Clint has been an Avenger in the comics for just about as long as anybody (I remember him as far back as the '80s). 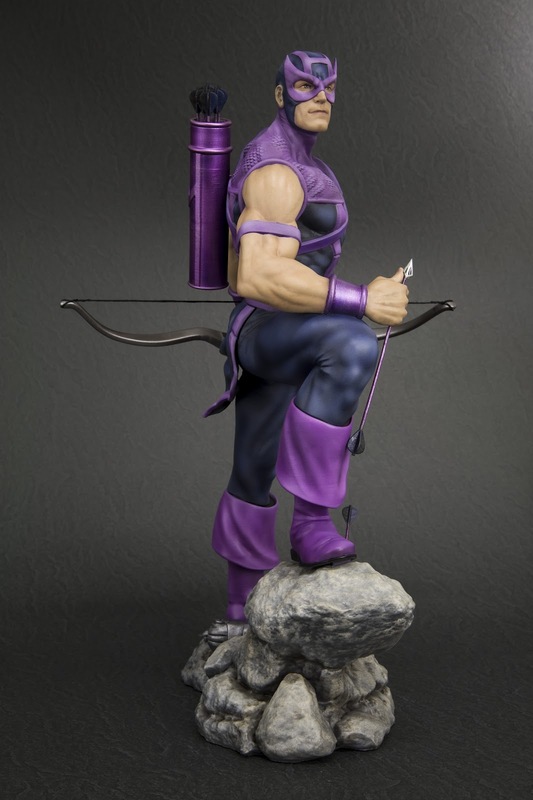 Now the character is getting a lot more play thanks to the movie that's poised to take the number one spot of all time (if it keeps rolling like it has been). 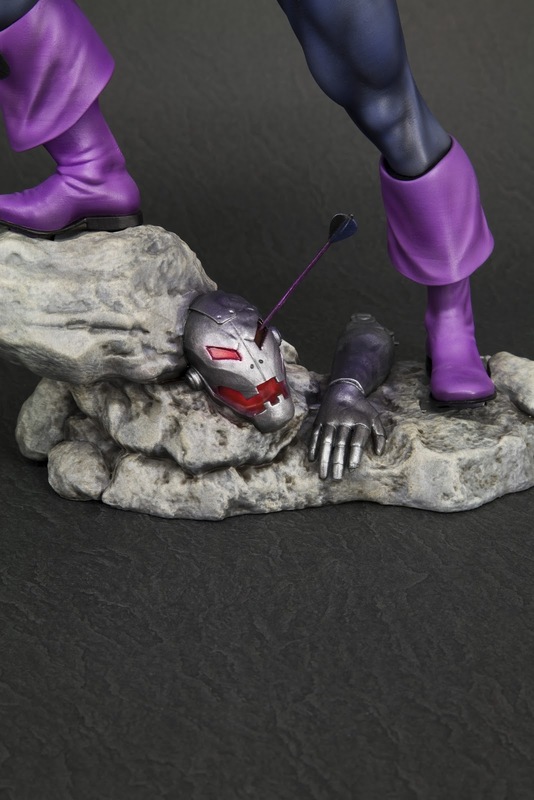 This latest piece from collectable maker Kotobukiya is indeed a display worthy 'fine art statue' for fans of the super-team. 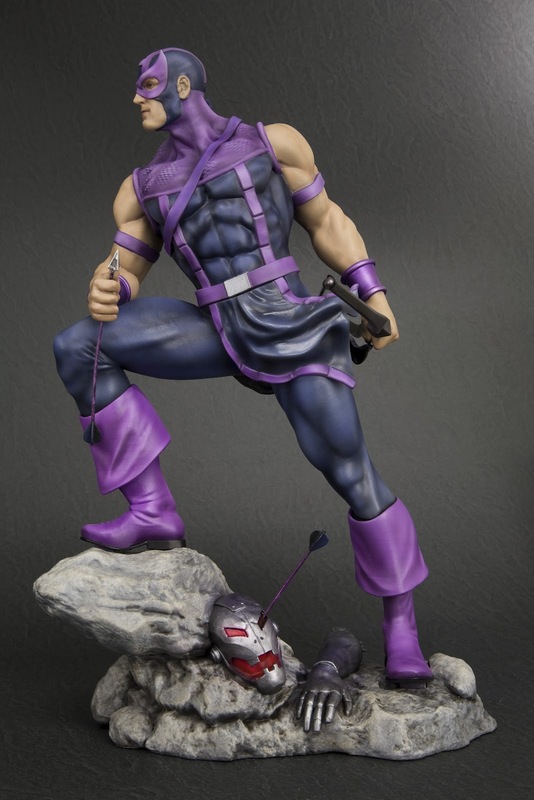 It's 100% classic Barton right down to that pointy mask. 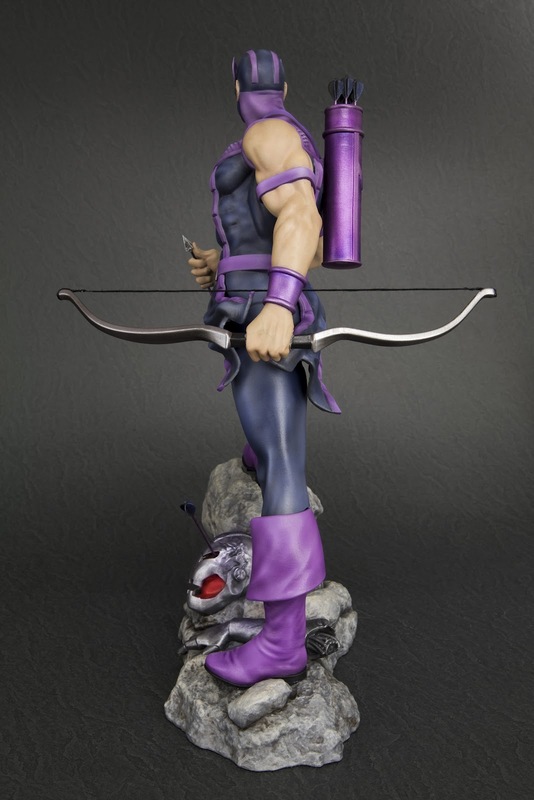 And for those who haven't been paying attention, the company has had a very cool series of these bad boys going for some time now- so you might want to start calling around. 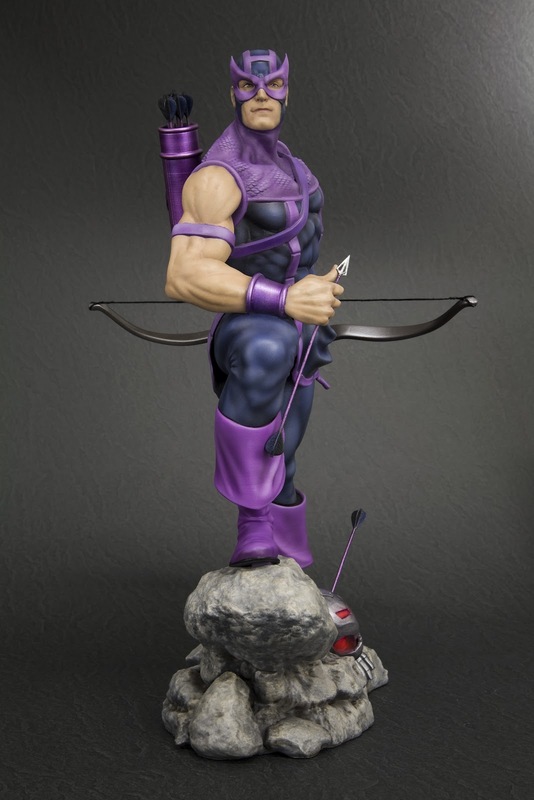 Hawkeye is in scale and fits in perfectly with statues of ol' Shellhead, Cap, and the God of thunder himself- Mighty Thor.